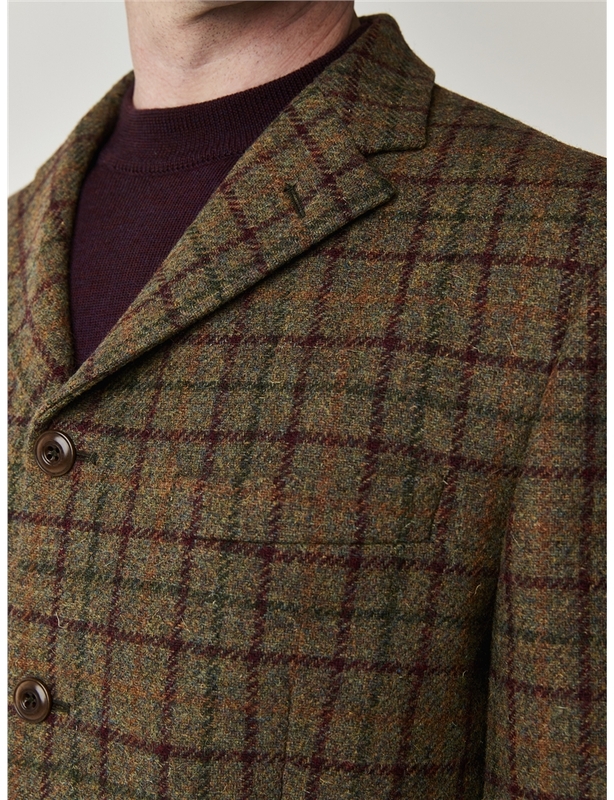 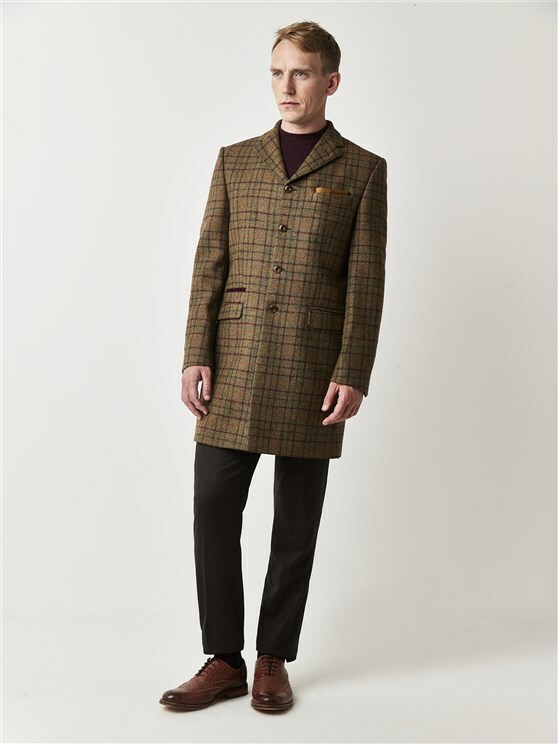 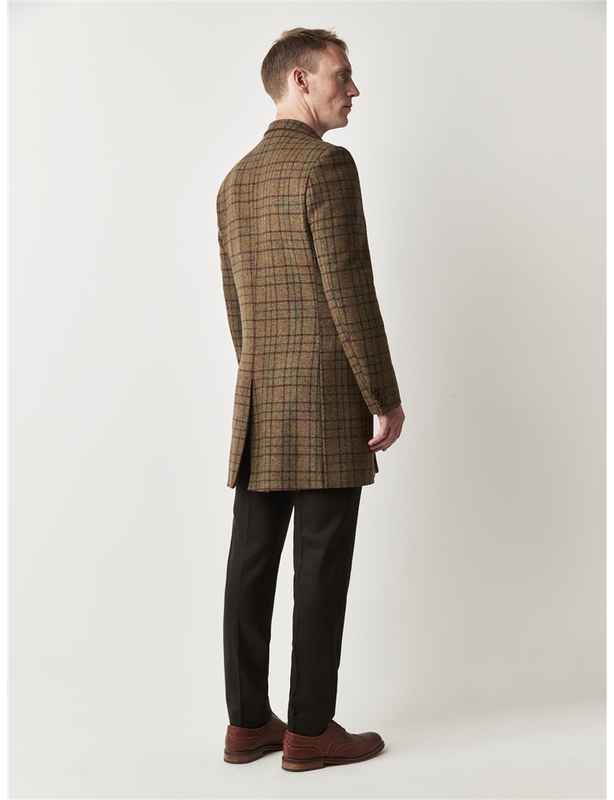 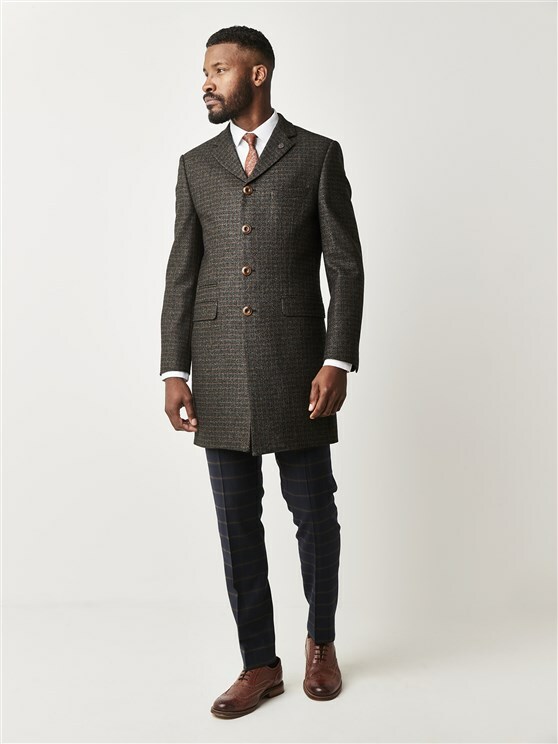 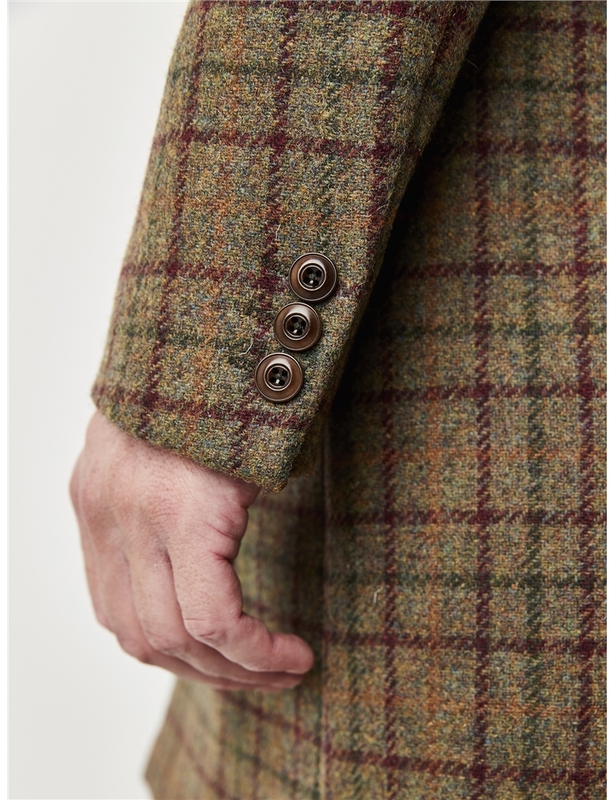 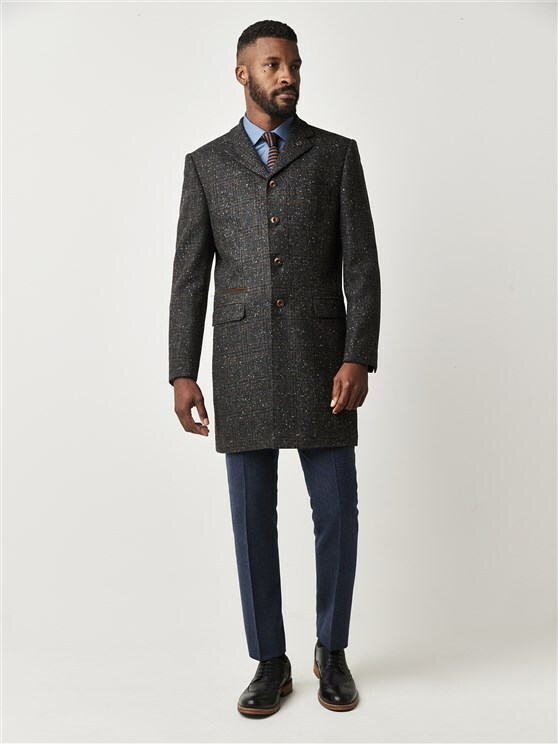 The iconic Winnie by Gibson London - A must have formal wool coat for men in a vintage sage and burgundy checked tweed fabric. 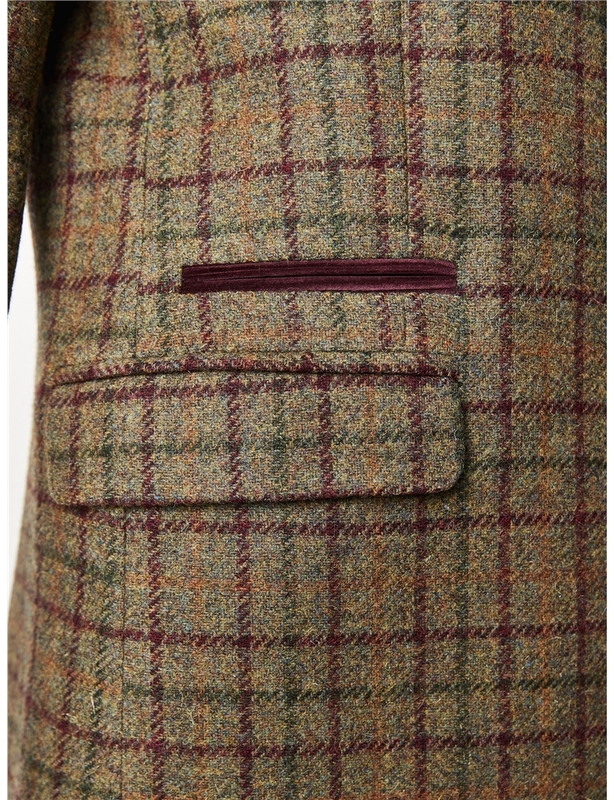 With a front button fastening, straight flap pockets and Gibson's 2018 signature map lining. 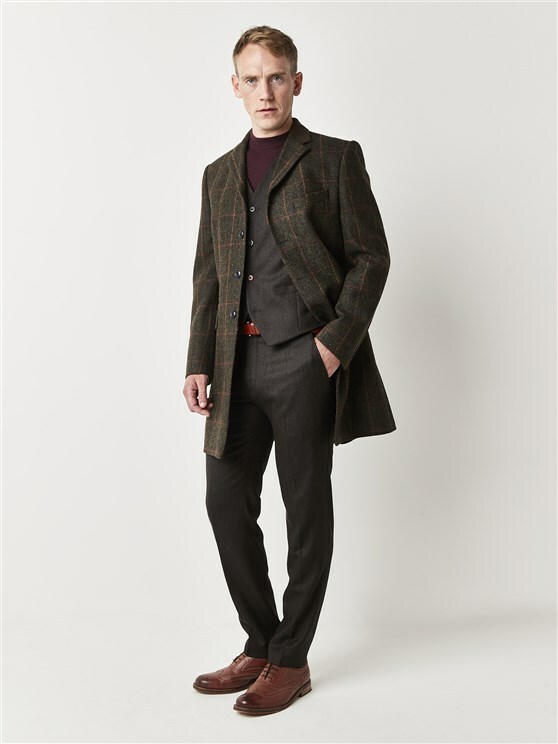 With moleskin contrast detailing, this sophisticated, stylish sage and red overcoat for men in a stylish accessory for any wardrobe - ideal to make an impression with an authentic Best of British feel.